I received an advanced copy of UP IN FLAMES from Atria Books back in early April. Let me just say, when it arrived I hadn’t even read the first book in the Rosemary Beach series. I know, FOR SHAME! So I set out on the task of finishing the entire series, including UP IN FLAMES in time for release. I honestly didn’t think I was going to make it in time. Aside from Kiro’s Emily and Rush Too Far, I somehow managed to read the other 12 books in little over 2 months (THANK YOU Audible and my public library!!!). What a ride this has been. Some stories I LOVED. Some I thought were okay. Some will stay with me for a long time. 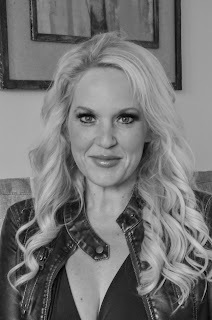 So many amazing couples and they’ve all begun to blur when I think back on what I want to say. I have to say that UP IN FLAMES was not my favorite out of the series. I enjoyed it, but I felt like there was something missing. Some book I had missed or a lead up to what was happening. (I kept flipping back to the beginning to find it.) This book had a lot of potential. I was excited to get a look what the inner workings of who Nan was and why she had acted the way she did the rest of the series. I expected Abbi Glines to make me like her or at the very least sympathize with her. I didn’t feel that with this book. I was disappointed that we didn’t get more guest appearances from the other characters. As a final book in such a long series I expected to be able to say goodbye to all those characters I had grown to love. This book was good it just wasn’t what I had hoped for. If you’re looking for fun, quick and entertaining books, these are definitely something you should pick up. I might classify them as “beach reads” (only fitting that it’s set seaside!). Abbi’s books are great to help pull you out of a book slump or to shall we say “cleanse your reading pallet” before starting something new. I was in the most epic book slump I’ve had in years! Last Fall I was reading close to 15 books per month. Then in December that drastically decreased and I was lucky to finish 2-3 books each month. When I started my binge read of the Rosemary Beach series all of that changed. THANK YOU! 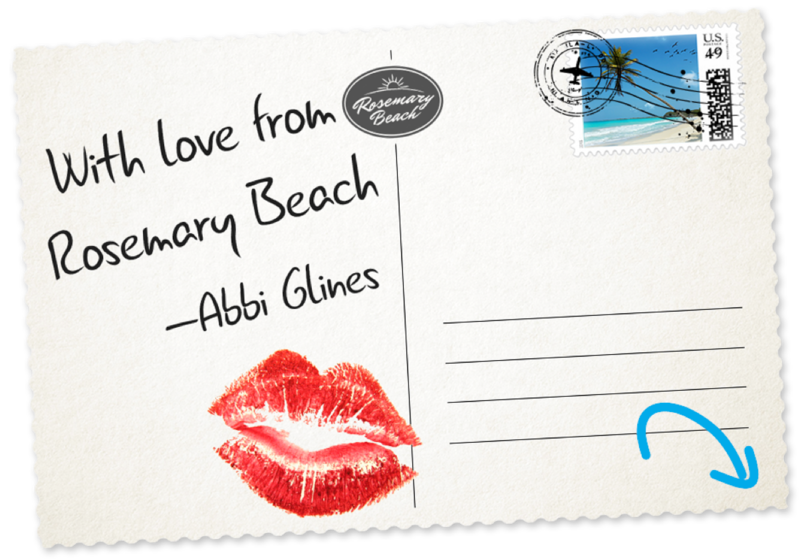 In the typical Abbi style, this book was a quick read with twists and turns that I didn’t see coming. 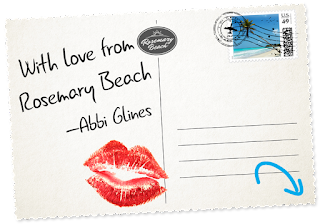 As a whole I really enjoyed the Rosemary Beach series and would highly recommend them. 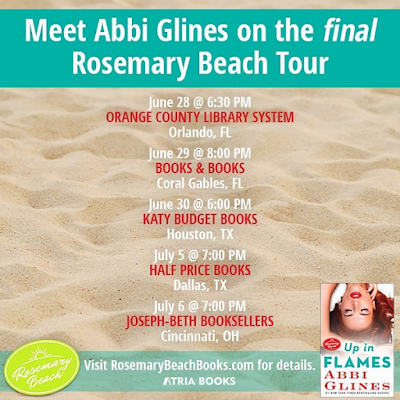 There's still a couple more stops on the FINAL Rosemary Beach book tour. Aren't able to make it for a tour stop? 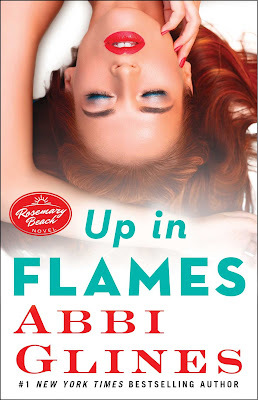 Enter to win one of 3 signed copies of UP IN FLAMES + Abbi’s favorite Twizzlers via the Rafflecopter below!